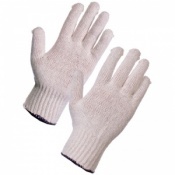 The Supertouch Seamless Mixed Fibre PVC Dot Palm Gloves 2657 provide fantastic grip and exceptional fit. 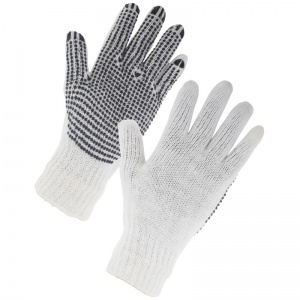 Featuring a soft ribbed-knit wrist, the Supertouch Seamless Mixed Fibre PVC Dot Palm Gloves 2657 provide both comfort and protection, keeping you safe throughout your working day. The Supertouch Seamless Mixed Fibre PVC Dot Palm Gloves are also available for purchase in case quantity.